Now that my choices for 1960 are over, I’m giving a handy, useless, summary of my thoughts. Once I have completed my re-imagnining of a particular year I will list my overall choices of winners from the actual nominations, as well as the numbers from my own nominations and winners. For any stats geeks amongst out there, you may find something of interest here. For everyone else, please accept my apologies. Note- I am not including a nomination per film when an actor or director is nominated for that film- so if Audrey Hepburn was nominated as Best Actress for Breakfast At Tiffany’s it would only be 1 nomination for Hepburn, not 1 for her and 1 for the film. Additionally, at the bottom I’ve added a recommended viewing list for anyone with similar tastes to me. So unlike the official 1960 Academy Awards where The Apartment was biggest winner and most nominated, The Magnificent Seven, Spartacus, and Psycho lead the pack for me. Spartacus. The Apartment. Psycho. 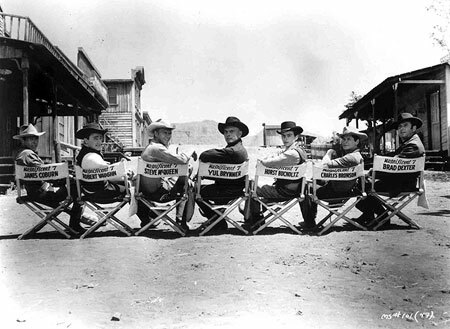 The Magnificent Seven. Village Of The Damned. Peeping Tom. The Lost World. Breathless. Jigoku. The Virgin Spring. The Dark At The Top Of The Stairs. Eyes Without A Face. Night And Fog In Japan. I love ensemble casts. If I was a Director, I’d try to pack in as many of my favourite actors as possible, especially if making an epic. The Magnificent Seven may not be an epic but every character is given an interesting story and a big name to match. None of the roles feel like cameos, and everyone plays their part to their best abilities. Spartacus on the other hand is an epic in every sense and has a cast featuring Kirk Douglas, Laurence Olivier, Jean Simmons, Charles Laughton, Tony Curtis, Peter Ustinov and more. Ocean’s Eleven has a stong cast no matter which you look at it. Personally I cannot stand the Rat Pack and everything they were about, but most people can’t argue with Sinatra, Martin, Davis Jr, Angie Dickinson, Cesar Romero, and Shirley Maclain. 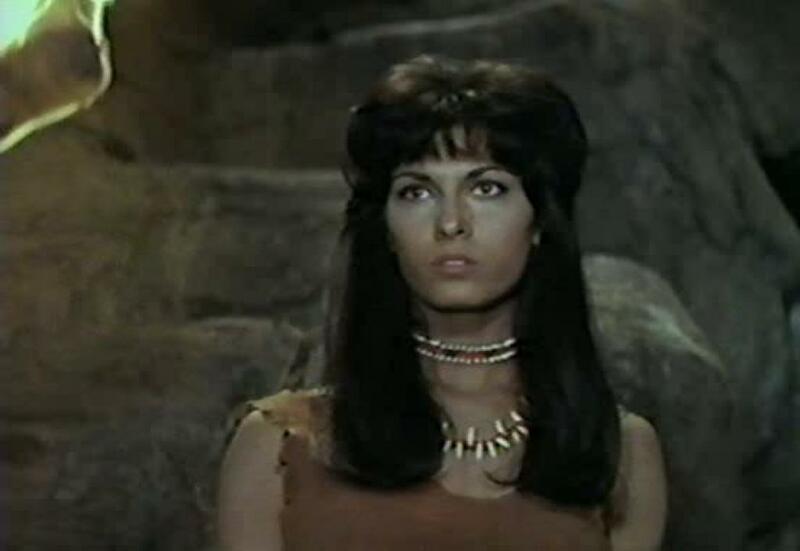 Exodus is still fairly unknown by today’s audiences, but have a look at the list of names involved and know that they excel- Paul Newman, Eva Marie Saint, Ralph Richardson, Sal Mineo, and Peter Lawford. What would be your pick for the best film cast out of all the releases in 1960? Let us know in the comments. That’s 1960 complete, next up will be a summary of my winners. The Magnificent Seven:This one has any number of heart pumping scenes, from horse chases to gun fights, but it is the sheer speed and diversity of the stunts and action here which does it for me. So please spare a moment to recognise the excellent work of Larry Duran, Jerry Gatlin, Loren Janes, Jack Williams, and Henry Wills. Spartacus: Most epics have action scenes as a prerequisite. There is a lot of great work here, mostly focussed on the battles and individual fights. The Lost World: Nothing too jaw-dropping here, but plenty of fights, chases, and explosions which called for some of the best stuntmen in the business. The Last Voyage: Watching an enormous cruise liner split in half and explode ensures plenty of tension, falling, running, and diving, and in this early disaster movie there are some brilliant stunts. Remember folks, no CG- just men diving out of the way and putting their bodies in extreme danger. 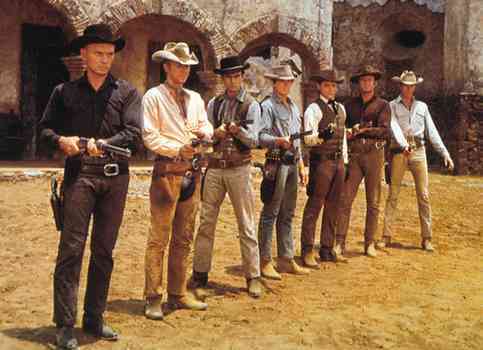 The Magnificent Seven: No Contest. 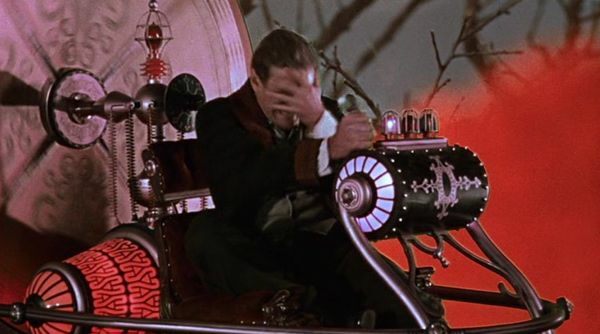 The only official nominations here were: The Time Machine and The Last Voyage. Both were ahead of their time, both are the types of movies I used to marvel at as a youngster- fantastic journeys, large casts, exciting escapades, and/or a variety of freaks/monsters. It’s close, but my winner is The Time Machine, though the sinking scene in Voyage is excellent. My Nominations: The Time Machine. The 3 Worlds Of Gulliver: Superdynamtion works well. There is a lot of foreground, backgorund trickery here, but some of the scenes are seemless and hold up very well today. 13 Ghosts: Magic specs are gimmicky but cool. I wish more movies but treats like these into theatres. Bring back William Castle! The Lost World: Another great movie full of exploration and adventure, and yes, lizards used as dinosaurs. But there is more here and at the time it must have been spectacular. Dino fight! Giant Spiders! Village Of The Damned: The movie would be nowhere near as creepy without those eyes. The endingwould not be so powerful without those effects. This award shockingly didn’t exist until the 80s. 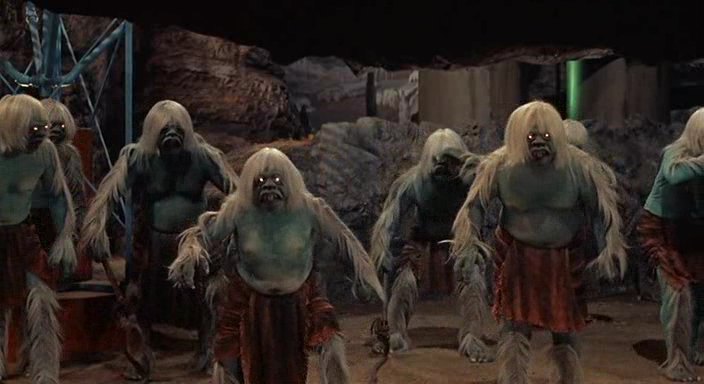 The Brides Of Dracula. House Of Usher. The Little Shop Of Horrors. The Lost World. Psycho. Village Of The Damned. Official Nominations: The Alamo. The Apartment. Cimarron. Pepe. Sunrise At Campobello. My Nominations: The Alamo. The Magnificent Seven. Ocean’s Eleven. Spartacus.Psycho. Official Nominations: Exodus: This features a vast and epic soundscape of brass and strings to evoke images of wide empty spaces filled with battle and despair. The oft covered main theme is still hard hitting today. 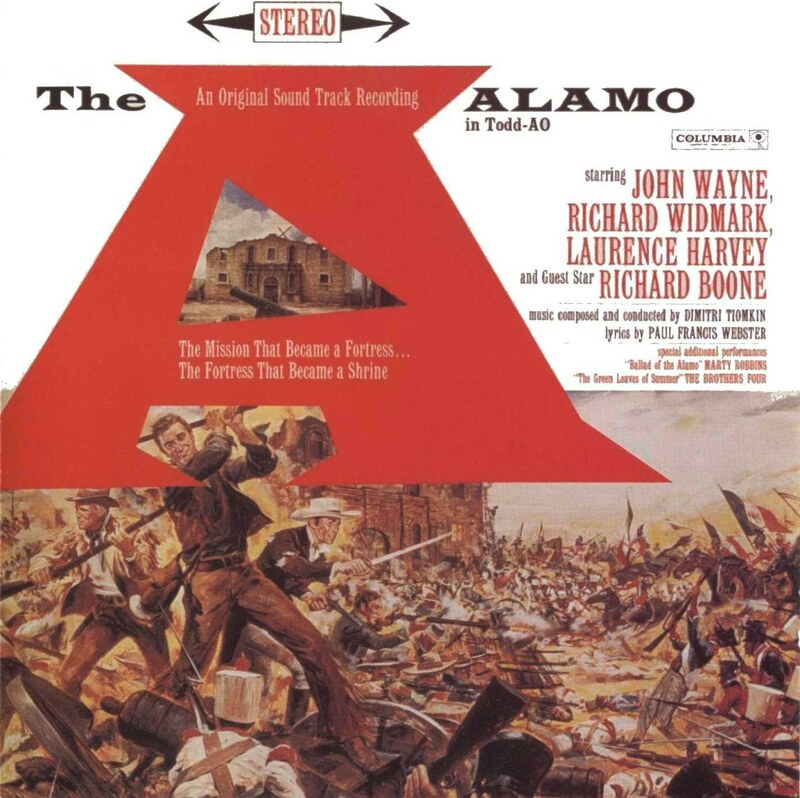 The Alamo: A typical Western soundtrack with Southern influences and more than a hint of tragedy. Dimitri Tiomkin was by this stage the most well known Western composer and he raises the bar once again here. Elmer Gantry: The main themes are packed with church bells and ominous crashes of percussion, while the backing strings race and twitch almost maniacally. Andre Previn receives yet another nomination in the Drama category, and doubles his joy in the musical category below. 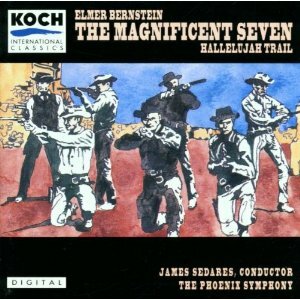 Magnificent Seven: A stonking main theme which is as joyous and energetic as anything you will hear today, the entire soundtrack is filled with poignancy and bitter notes. 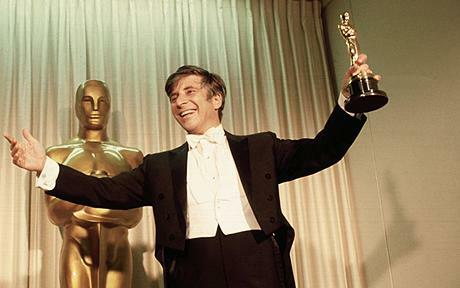 Elmer Bernstein was no stranger to the Academy at this point, earning his second well deserved nomination. Spartacus: Suitably military sounding, we can imagine endless marches, flag waving, and the glory of Rome while the more tender moments are a bit too light and fluffy and not nearly tragic enough for my tear-filled ears. Alex North would receive 15 nominations but never pick up the win. Song Without End: This was the official winner in the Best Musical score category and while most of the music is piano led and not overly memorable, the importance is that the soundtrack was recorded before the film was made. Everything is frantic and played at a million miles an hour which adds a certain charm for metallers like me. Morris Stoloff and Harry Sukman grabbed the gold. Bells Are Ringing: A typical musical soundtrack full of tuneless brass which sounded badly dated the second it was released meant Previn picked up another nomination but it is not one to remember. Can Can: See above for Nelson Riddle’s effort. Let’s Make Love: See above, though slightly less dated for Lionel Newman and Earle H Hagen’s work. Pepe: This has some inspired Spanish guitar, though more often than not Johnny Green’s piece gives way to old school Hollywood cheese. 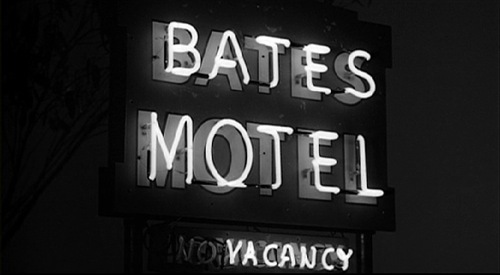 I’m only adding a single new nomination to the list, a soundtrack which still reverberates in the public conscienc today and whose influence can be seen many a movie palying at your local now- Psycho: Hermann single handedly invents the music of horror cinema here with his racing rhythms, jagged and jarring string section. Spartacus. Magnificent Seven. The Alamo. Exodus. 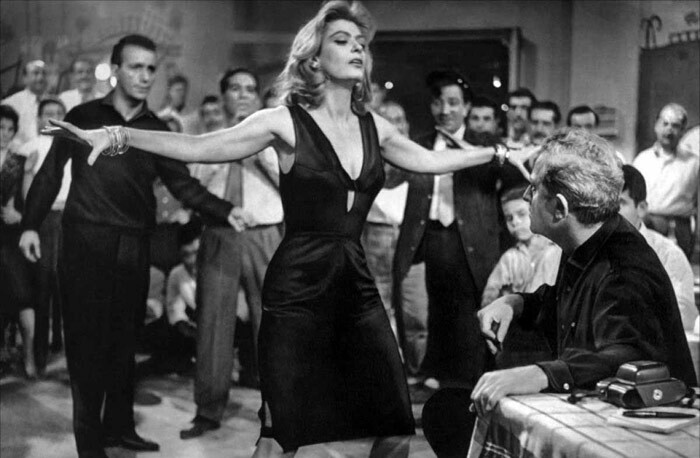 Never on Sunday – Never on Sunday • Music and lyrics: Manos Hadjidakis- A typical belter starting with a bunch of La la las. It’s all very twee apart from the innapropriate blasting of the vocals. They should have let a Greek singer perform. Nevertheless, this was the official winner. The Facts of Life – The Facts of Life • Music and lyrics: Johnny Mercer. A terrible duet, complete with silly sound effects, theatrical performances, and just about everything that is wrong with music. Faraway Part of Town – Pepe • Music: Andre Previn • Lyrics: Dory Langdon. Judt Garland sings this one, and at least it is a song in comparison to the Ad Jingles which make up the rest of the nominations. Still, it has that Jazz vibratto I can’t abide. The Green Leaves of Summer – The Alamo • Music: Dimitri Tiomkin • Lyrics: Paul Francis Webster. Finally, a song we can listen to without our ears melting into a toxic disaster on the floor. A haunting melody with an eerie cathedral feel. The Second Time Around – High Time • Music: James Van Heusen • Lyrics: Sammy Cahn. A rather typical love song which, in 1960 already sounded 2 decades out of date. 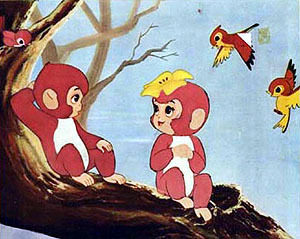 Plus it reminds me of Tom and Jerry. Which should be a good sign. But Isn’t. My Winner: A typically poor year for songs with mostly annoying, jangly jingles making up the bulk. My win goes to The Alamo. 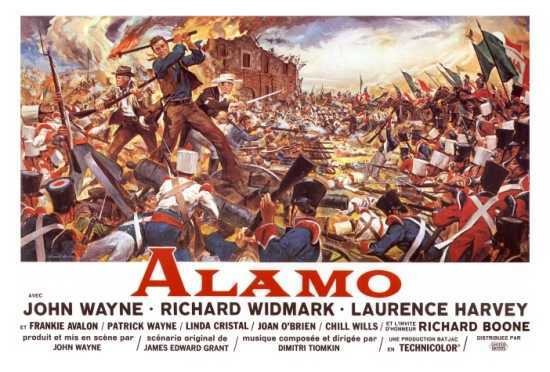 My Nominations: Unfortunately I can’t find anything of worth this year so my single nominee and winner is The Alamo.